Can’t get enough avocados? Well we can’t either! In fact, we love it so much we decided to whip up this summer recipe sure to make your day party or brunch the talk of town. What makes this recipe so over-the-top delicious? It's when you pair it with our Grace Baking Organic Country White Bread. Seriously – you’re flirting with fame here. 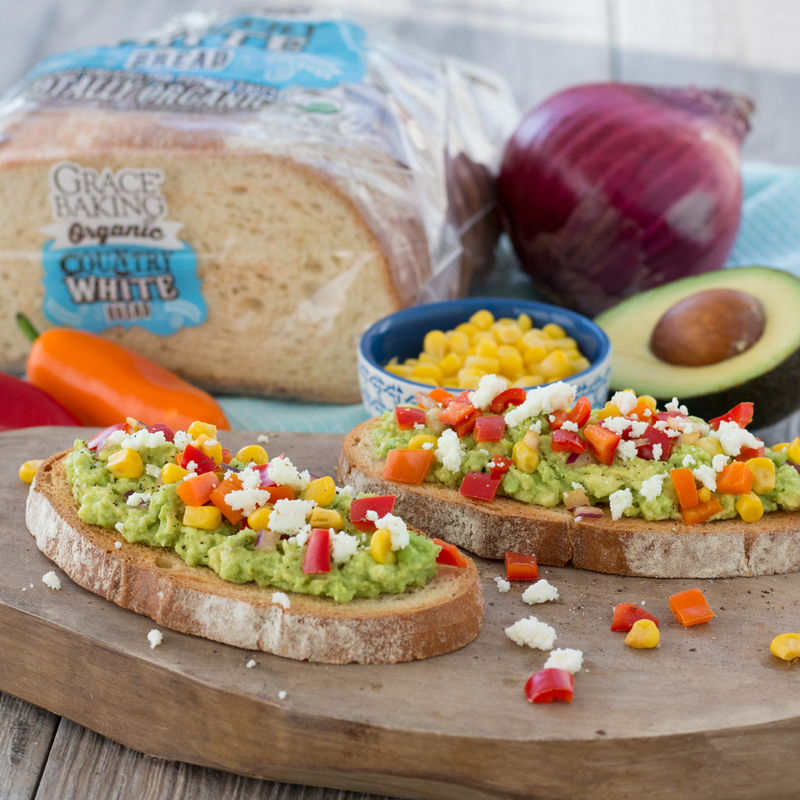 Our Southern Avocado Toast is sure to be a hit with your friends, family, and well yourself, this summer. In a small mixing bowl, combine red onion, corn and peppers. In a second small bowl, mash avocado with a fork, and spread on each slice of toast. Top avocado toast with vegetable mix and Queso Fresco.